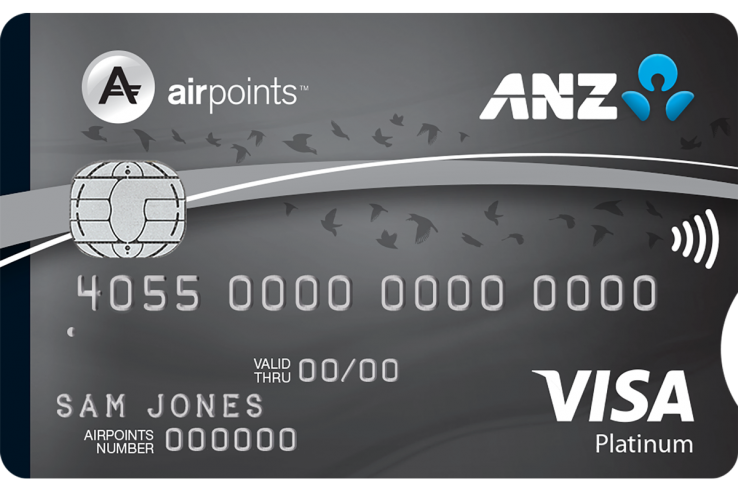 The ANZ Airpoints Visa Platinum earns Airpoints Dollars™ faster with platinum benefits. ANZ lending criteria, terms, conditions and fees apply. Current interest rates and fees can be found at anz.co.nz and are subject to change. * Eligible purchases do not include cash advances, balance transfers, the purchase of cash substitutes such as foreign currency, travellers' cheques) and gambling chips or business related expenditure. ** A year is based on either the 12 month period from the date your card was issued, or if it was issued prior to 1 April 2015, then from 1 April each year. Passes will be awarded in the month after you have spent $20,000. For example, if you reach $20,000 spend in your June credit card statement, you should expect the passes in July. You will be notified of the complimentary passes when you sign in at the Air New Zealand website. If Air New Zealand has your email address, they'll also endeavour to notify you by email. The passes will be loaded onto the primary account holder's Airpoints account - so make sure that you use your Airpoints number when booking your flight. Airpoints™ is the registered trademark for the loyalty programme operated by Air New Zealand. Airpoints Dollars™ are registered trademarks for a form of reward offered to members of the Airpoints programme. ^^ ANZ and Airpoints terms and conditions apply.